*1-Owner! Clean Carfax With Well Maintained Badge! * This 2014 Subaru Legacy 2.5i Limited AWD IS LOADED! Venetian Red Pearl Exterior With Black Leather Interior, Automatic With Paddle Shifters, Remote Start, Touchscreen Navigation W/ AHA Infotainment, Rear Vision Camera, Sunroof, EyeSight Driver Assist Package-Pre Collision Braking System, Pre-Collision Throttle Management System, Lane Departure Warning & Lane Sway Warning, Bluetooth, Premium Harman Kardon Sound-AM/FM SAT CD USB Port & iPod Control Cap, Adaptive Cruise Control, Dual Power Heated Seats, Power Windows, Power Locks, Power Heated Mirrors, Heated Wiper De-Icers, Remote Entry, Splash Guards, Auto Headlights With Daytime Running & Fog Lights, Dual Auto Climate Control, 17" Alloy Wheels, Factory Bright Exhaust Tip, Split Folding Rear Bench Seat, Auto Dimming Rear Mirror With Homelink, Vehicle Dynamics Control, Hill Assist, Dual Front, Side, & Rear Airbags, Tire Pressure Monitoring System, Factory Subaru Rubber Mats, Tilt, Telescopic, Owner's Manuals, Extra Keys, & More! 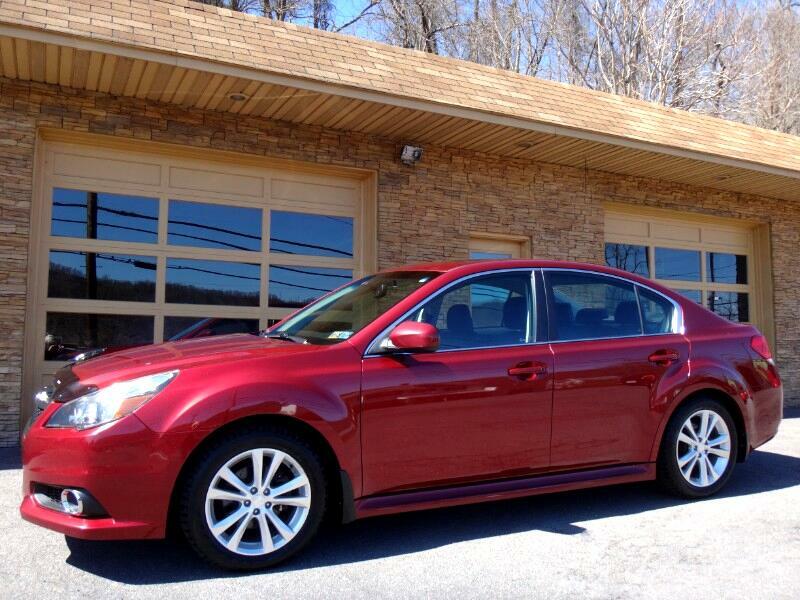 This Subaru Legacy 2.5i Limited Has Been Well Maintained...MUST SEE! Barth's Home Auto Sales Is Family Owned & Operated, Serving The "Tri-State Area" Since 1977. Qualifying Vehicle Protection Plans, Financing, & Fair Trade-In $$$. Located Just Off I-68 Exit 42 West Of Cumberland, MD. Situated In The Beautiful Mountains Of Western Md, Looking Towards Wild, Wonderful WVa. and 7 Minutes From The PA Line. Enjoy The Scenic 1 Hr Drive From Morgantown WV, Altoona PA, Hagerstown MD, & Winchester VA., And A Little Over A 2 Hr Drive From Pittsburgh PA, Baltimore MD, & Washington, DC. Call Us Today For More Info On This Vehicle @ 301-729-1122 Or Visit Our Website For Additional Vehicles Available @ www.barthshomeautosales.com. We Also Offer Vehicle Delivery & Hours By Appointment To Meet Your Every Need!